What exactly is in this bill? SARMS are selective androgen receptor modulators. Some are in clinical testing, and some have been in clinical testing in the past. They are being developed to give milder results and less side effects than anabolic steroids. In fact, they are considered a much safer alternative to steroids, but, at the same time, much stronger than natural herbal supplements you would buy at GNC over the counter. In 2014 the DASCA, which stands for Designer Anabolic Steroid Control Act, was signed into law with overwhelming bipartisan support. This made pro hormones illegal. Previously you could go online and buy prohormones on Amazon, eBay, or supplement websites. In many cases, these prohormones were just as powerful as actual anabolic steroids, and in some cases had even worse side effects. After the bill passed, prohormones have disappeared from the market, and now are only being sold underground with many dealers abandoning that business. Many prohormone dealers were arrested and sentenced to long prison sentences! Utah Republican Senator Orrin Hatch has sponsored a bill called the SARMs Control Act of 2018. The crux of the bill is to ban any supplements or product sold that contain SARMS. This legislation is supported by the White House and is likely to pass within the next 30-90 days. This bill seems to mirror the prohormone bill to a tee. It will allow the DEA authority to regulate SARMs the same way they do anabolic steroids, making them schedule 3 controlled substances (drugs). Importing, exporting, manufacturing, distributing, possessing with intent to distribute, or dispensing would now be federal felonies! In addition, it will prevent legal loopholes by instructing the FDA to determine what specific ingredients they deem 'a SARM'. This wide net will allow the FDA to ban some supplements that might not even contain SARMs but maybe are Sarm-like. Meaning, everything that's sarms related will become illegal. 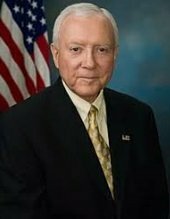 Orrin Hatch has been a Republican US Senator since 1976 in very conservative Utah. Utah's #1 industry is the supplement industry, which is a 7 Billion dollar industry. Hatch has been a big reason why it has grown so much. He has accepted millions in donations, and many of his constituents depend on the supplement industry not having any competition from things like SARMs. Hatch has also taken in millions from big pharma, and his son is a lobbyist for a Washington lobbying firm which has benefited from pharmaceutical company connections. This is another reason SARMs being banned would benefit him and his family personally. 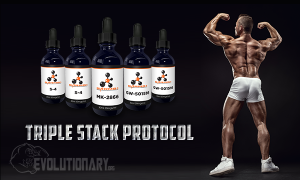 When SARMs do clear testing and get approved, the pharmaceutical companies want to make as much money as possible without having any sort of underground competition. Supplement companies and their allies have wanted SARMS banned for years now as they are too effective. The CEO's for Responsible Nutrition, Herbal Products Association, and United Natural Products Alliance all support this bill. They stand to benefit when powerful SARMS are banned. The anti-doping agency also wants SARMS gone since they already have it banned in sports. It appears this support is bipartisan, meaning it will breeze through Congress easily and likely be signed into law by Trump the next chance he gets. It is a good idea to stock up on SARMs right away before this law passes. 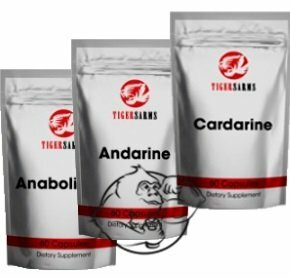 Join the Evolutionary.org forums and have your say on SARMS being banned!